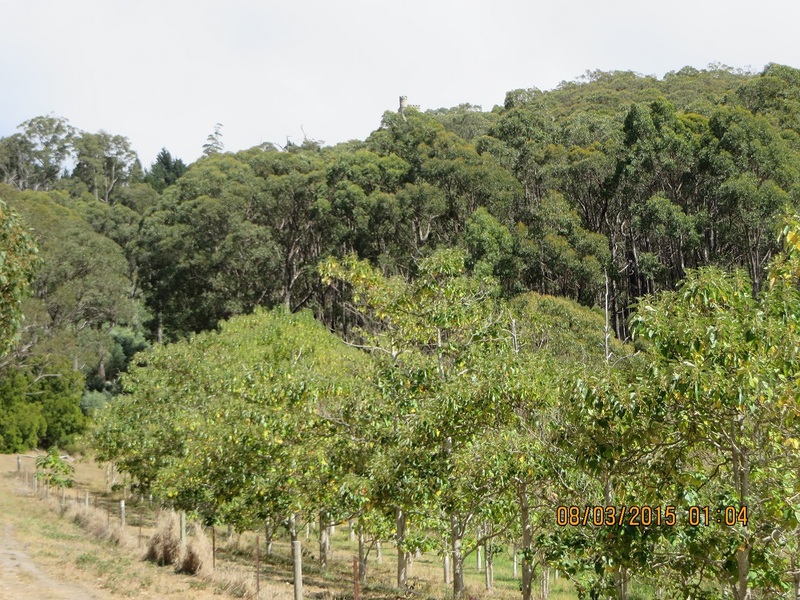 Eurilla Conservation Park is a small park which adjoins Cleland Conservation Park, close to Mount Lofty summit, and is part of the Greater Mount Lofty Parklands. 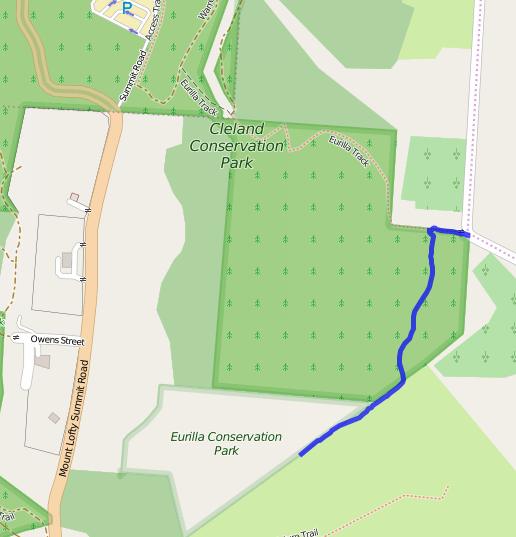 Eurilla Conservation Park is roughly triangular in shape and the hypotenuse joins the Mount Lofty Botanic Gardens, the western side of the park adjoins private property which fronts Summit Road and the northern side joins the Cleland Conservation Park. VK5PAS, Paul, has previously activated the Park and his blog contains a description of how he approached his activation spot. It is not possible to gain access to the park from Summit Road. On Friday 6th February I travelled to the Park for an exploratory survey (see below). I could find little specific information about the Park, other than a fire plan that deals with a number of other Hills Face Zone Parks. I also found material about the flora of Eurilla Conservation Park. However, a letter to the Editor of the South Australian Register provides information on the word ‘Eurilla’. Sir— Article No. 18 of ‘The Toilers of the Hills,” published in the Register of April 1, contains the following:— “It is also a pity that the native name of Mount Lofty (Yu-re-illa) has not been adopted for one of the mansions near the summit.” It may afford some satisfaction to the author of these interesting articles to know, that when building my house on Mount Lofty some eight years ago I placed myself in communication with my friend the Surveyor-General to ascertain the native name of Mount Lofty with the view of using it as the name of my place; he informed me that it was Yureilla, pronounced Yurilla. The native language not being a written one I did not feel bound to adopt the spelling of the word as given to me so long as I adhered to the correct sound. In selecting the name I therefore took the liberty of spelling it Eurilla, and as such it is known amongst my friends. I am. Sir, &co., WILLIAM MILNE. Eurilla, Mount Lofty, April 7. To access the Park I travelled from Crafers to Piccadilly taking Piccadilly Road, turning left into Lampert Road and then a right hand turn into Sprigg Road. 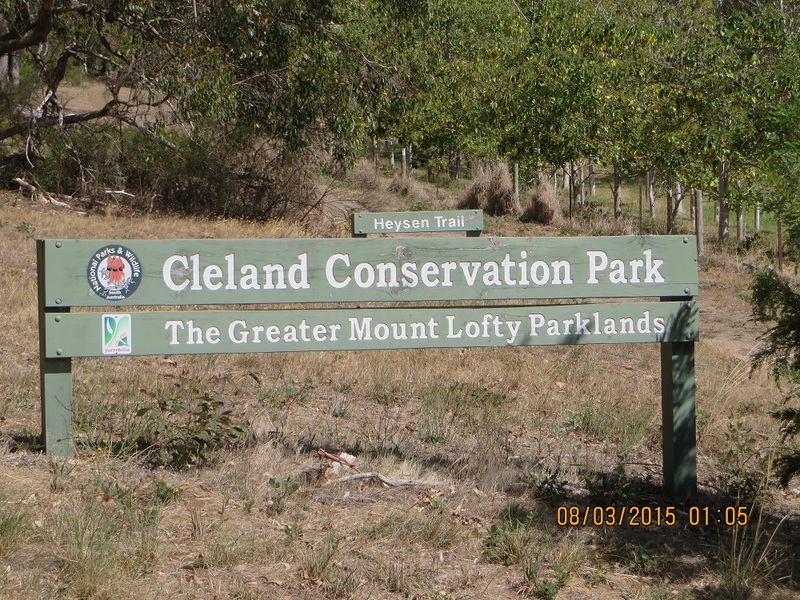 Take Sprigg Road until you pass Ross Road on the right and then as you take a gradual right had sweeping curve in Sprigg Road you will see a sign for Cleland Conservation Park. There is a small parking area for about three or four cars. 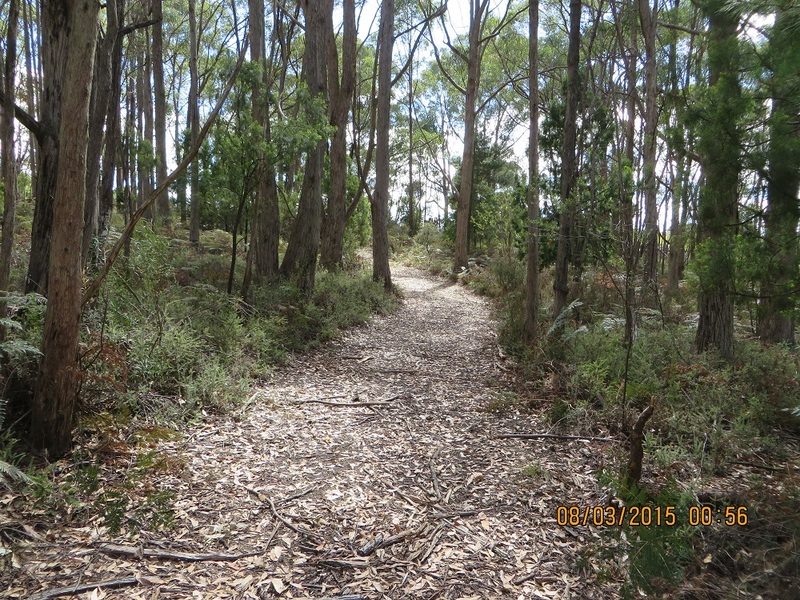 The track is marked Heysen Trail, and this particular section is called Eurilla Track. But you are not in Eurilla Conservation Park yet! 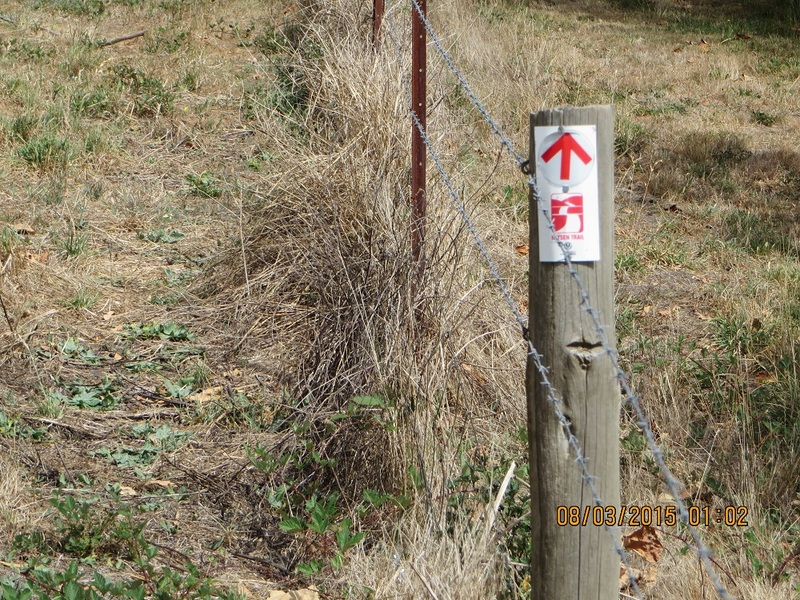 You walk for just over 50 metres along the track and you will spot a Heysen Trail marker on the fence post. At this point turn left and climb a small rise and then you will see a fire trail/vehicle track, pictured below. You follow this to the two metre high chain fence. This fence forms the boundary with the Mount Lofty Botanic Gardens. When you reach the fence turn west, that is, turn right and walk to the end of the track. You are in Eurilla Conservation Park soon after making the right hand turn. However, I walked to the end on the track where there is a turning circle and used a small bush to support my seven metre squid pole and then erected my 40/20 metre linked dipole. The walk is not too long. It is 680 metres and a fairly gentle walk back to the car park. On Friday I walked 1.85 kilometres as I wanted to take some bearings and check out a few other tracks. 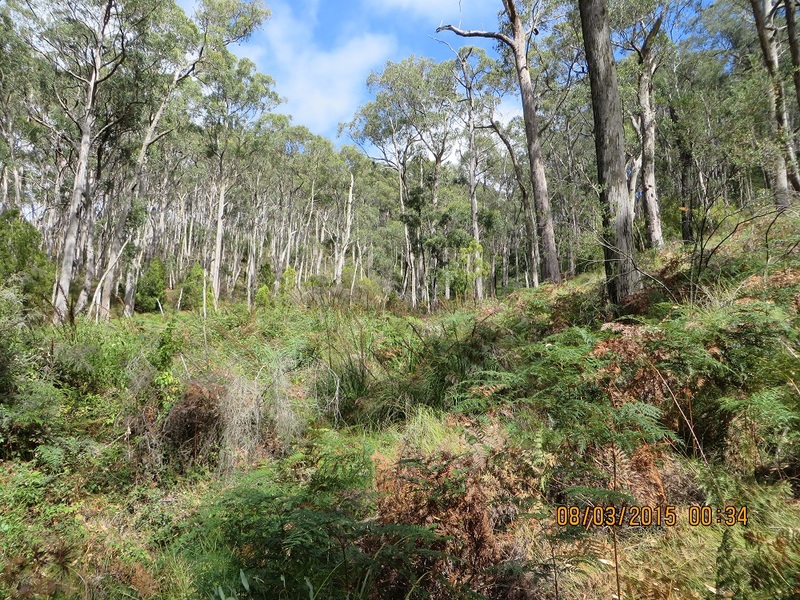 Today I spoke to a walker as I was getting back to the car park and he said that the walk along Eurilla track to Mount Lofty summit is quite steep. That can wait for another day! Carminow is one of three historic residences on the Eastern side of Summit Road approaching Mount Lofty summit from the South. It was built in 1885. Those who have activated Mount Lofty Summit, VK5/SE-005, from the Eastern side will know the location. The tower is visible in the picture at the centre on the tree-line. The other two residences are Eurilla, 1884 and Mount Lofty House, 1858. All three houses were badly damaged or destroyed by the 1983 fires and all have been rebuilt. Band conditions were challenging but I was pleased to have contacts with 25 stations in VK2, VK3 and VK5. I tried 20 metres two times but was not successful on that band. The VK2 WIA broadcast signal on 14.160 Mhz was very strong. My first contact at 22:28 was with Mick, VK3PMG, at Stawell, 59s 44r, then, VK3VTH, Tony; VK3FQSO, Amanda; VK5WG, Nev; VK5EE, Tom; VK5PAS, Paul; VK5FANA, Adrian on 7.100 then 7.095; VK3BHR, Phil; VK3AV/M3, Bernard; VK3TKK, Peter; VK5ATQ, Trevor, 7.135; VK1DI/P2, Ian, 7.095, VK2/SM-007; VK5HS. Ivan; VK3ANL/P3, Nick, Tarra-Bulga National Park, VKFF-480; VK5EMI, John; VK3TKK, Peter with a better signal; VK5NAQ, Peter; VK5NPP, Phil; 00:02, VK5EMI, John; VK3YSP/P3, Joe at Ballarat; VK3PF, Peter; VK5HCF, Col; VK5ZAI, Tony; VK5IS, Ian; VK5KFB, Rod and finally, VK5ZAR, Arno. Although conditions were not perfect, I had a lot of fun and I appreciate the effort made by all the callers to get VK5BJE/P5, Eurilla Conservation Park in their logs. And today is the first day of South Australia’s National Park week, which for me makes the activation quite special.